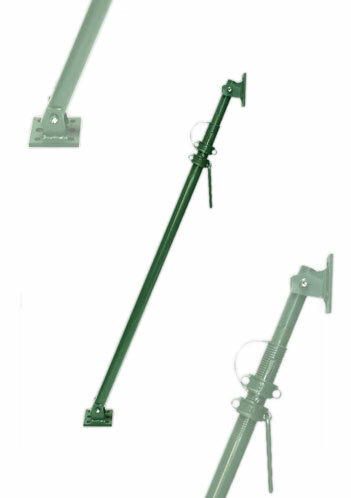 Adjustable Steel Push-Pull Props are designed for holding and plumbing single and double faced forms. The lower plate is fixed to a ground anchor with the top plate being fixed to the shutter. The Adjustable Push-Pull Prop includes the standard Prop Collar with an additional locking Collar to maintain rigidity and maximum safety. Adjustable Steel Push-Pull Props are available in sizes No.0 to No. 4. All SCP Props are manufactured in accordance with our ISO 9001:2000 quality system accreditation. All props are manufactured to BS4074 and tested to BS5507. Head and Base Plates 150 x 150 x 6mm to BS4360 with 38mm Dia hole. Finished in one coat air drying.